Marinade the chicken pieces for about half an hour. Put the noodles in a bowl of hot water and separate them gently. Fry the chicken pieces off in a hot wok in some peanut oil. Do in batches to prevent stewing. Put meat aside and fry off the ginger and onion. Throw in the other vegetables and stir fry for a minute or so. 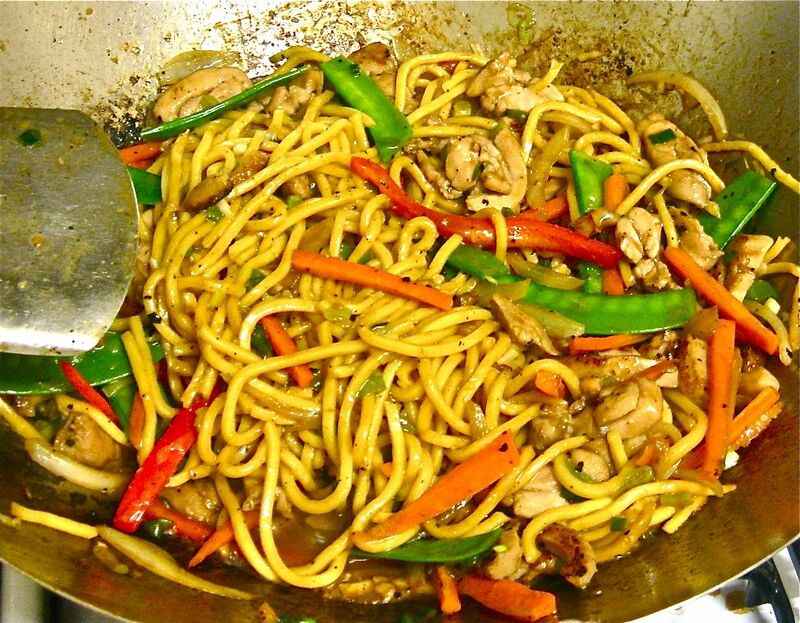 Throw the chicken back in and stir, followed by noodles and sauce. Fry off till everything is cooked to your taste and well combined.